Designers of RHS Award winning gardens, Ana Mari Bull Landscape & Garden Design offer a comprehensive garden design and horticultural consultancy. Central to our work is the ability to identify and draw out the essence of a site. We pride ourselves on being able to respond to the unique quality and spirit of every location, to ensure that our designs are in harmony with the architecture and character of the landscape. Embracing both contemporary and traditional design styles we work closely with our clients to ensure their requirements are fully realised from the initial brief to the completed work. We believe in collaboration and so welcome every opportunity to work with architects, interior designers, and craftsmen to ensure each project has a strong visual connection between the interior and exterior spaces. Based in Oxfordshire, we have worked on a variety of large and small projects in London, the home counties, and internationally. Our services include full design concepts, project administration, planting plans and plant sourcing, garden styling and 3D models. We can also provide landscape designs to support planning applications for both private and commercial clients. Our work has been featured on Channel 4’s Grand Designs. ART Security Solutions were established in June 1998 and are located in Henley-on-Thames. ART offer a very personal and professional service in all aspect of residential and commercial security systems. We are a fully accredited for policed alarm systems via the SSAIB and are a BAFE accredited company for fire detection. The installation of one of our systems may enable tenants and landlords to reduced premiums from their insurance providers. All ART operatives are fully trained in all aspect of fire and security and will ensure a smooth and professional service during any installation. Below highlights the main areas covered by ART for both systems and services. With offices in Reading, Henley-on-Thames and London, Blandy & Blandy LLP is recognised as one of the region’s leading law firms. The Thames Valley has been our home since 1733 and we have the heritage and reputation that comes with this longevity. We advise clients on all aspects of their personal and family lives, including Residential Property, Family law and Wills, Probate Tax and Trusts. Commercially, we provide a full range of legal services to both public and private sector organisations, ranging from national and multinational companies through to banks and lenders, SMEs and owner-managed businesses, charities and educational institutions, professional practices, landowners and developers and venue and event operators. Our partners and many of our associate solicitors are acknowledged as experts by the two major legal directories, Chambers UK Guide and The Legal 500, and we are top ranked as a firm by both. We have also held the Law Society’s Lexcel quality mark since 2003. Of the 11,000 legal practices in England and Wales fewer than 10% have achieved this ‘gold standard’. Blandy & Blandy enjoys a reputation for high-quality, high value expertise, providing a partner-led service and outstanding client care. We are often regarded as a strong and cost-effective alternative to a national or City firm. As members of the global Law Firm Network, we also advise clients operating internationally. We seek to balance our heritage with a modern and progressive approach, in terms of the services we offer and the way in which they are delivered. This, underpinned by our independence, means that our clients continue to trust and recommend us year after year. 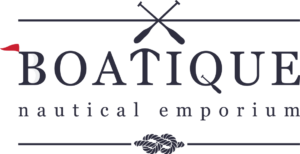 Boatique was born from the river and all things nautical. Founder Gillian’s passion for boats and the river shines through in everything we do, from the name ‘Boatique’ to the clothing lines chosen like Armor Lux, the original Breton top manufacturers. The river runs deep though us and like all rivers that meander and find their own course over time, so have we. Over the past couple of years we have evolved and now draw inspiration from the whole golden era of transportation, offering a veritable treasure trove of items. Our Henley shop located at 5 Friday Street is gushing with character and charm, a fashion augmented by our jolly and eclectic mix of clothing, accessories, gifts, homeware, vintage treasures and more. Our friendly staff are always on hand to advise you on unique or specialist items. At Boatique we value the ecosystem and upcycling, unique and handmade crafts, high-quality fashion and textiles, and pieces that tell stories all of their own. Together they paint a picture of seafaring, travel and waterside living. Grounded in over 25 years of experience within the boating world, Boatique was opened to offer the things that we love to like minded landlubbers. Specialising in contemporary British fine art. Work shown includes paintings, sculpture, watercolours, drawings, original prints, and ceramics. Bohun Gallery holds a lively and varied exhibition programme with up to nine feature exhibitions every year. I am a full time creative professional photographer, who photographs weddings, portraits and commercial work, in the UK and abroad. We are a family firm (established 1989) based in Henley-on-Thames and our core products are Wills and Lasting Power of Attorneys. We offer home visits and fixed fees. We undertake no advertising whatsoever with all business coming from personal recommendation. We have over 35,000 clients spread all around the country. Design services in residential exteriors and interiors, bespoke interior design furnishing and lighting, arts and crafts designs. Dallas & Co is a niche dispute resolution practice based in Henley-on-Thames. We specialise in commercial litigation and arbitration. Typically, we advise on a broad range of contractual disputes, insurance related issues, shareholder/partnership disputes together with a broad range of disputes which can arise in the conduct of cross border business. We provide a range of fee solutions for clients including fixed fee and conditional fee structure. In some circumstances we are also able to procure litigation funding for meritorious claims which eliminates the cost risk of proceeding with a claim. Floor Store is a family run business. Based in Twyford, Berkshire. We are father Robert Bushnell and daughter Clare Ryan team who are passionate about providing our customers with truly exceptional service. Robert, the company founder spent many years at a top national retailer with a first class reputation for service. We offer great quality floor coverings, these include Engineered Wood, Karndean Luxury Vinyl Tiles, Carpets, Laminate and Vinyls and fit them to the highest standards. Our fitters can also uplift and dispose of your existing flooring and move furniture. We offer a No Obligation Quotation and can bring samples to your home. Gardner Leader has been at the heart of the Berkshire community for over 120 years, but it is our determination to always move with the times that ensures we keep delivering results for our clients. Progressive and innovative, with a focus on excellence in client care and giving our clients trust, value and peace of mind, Gardner Leader offers the full range of legal support for you and your business. Working closely with you to understand the complexities of your situation and your personal priorities, we aim to come up with the solution that best meets your unique needs. Our team will ensure you are informed upfront of the likely stages, options and costs at all times. We will work with you to find the right ways to market your business and provide practical ideas and support if you need it. From basic training for the Social Media platform best suited to your business and requirements to a full marketing service. We can help you achieve the best results for your business. We offer expert solutions designed to complement and enhance a building’s architectural qualities for a complete look. We have also had the pleasure of supplying blinds for some great projects recently including Worcester College Oxford, Le Manoir Aux Quat’Saisons, Heston Blumenthal and, most recently, for the Eurostar Business Premier Lounge at Paris Gare du Nord. Hamilton Properties was set up by husband and wife team, Helma and Andrew Marlow, in 1998. The company started to focus on high quality residential ‘new build’ in 2003/4, and since that time has constructed over 35 homes in and around the Henley-on-Thames area. Using the services of local craftsmen, builders, and suppliers, a trusted working network has evolved, which combines skill and expertise, with an excellent service for the consumer. Providing strategic support for small to medium size buisnesses who want to do things differently and breakthrough to the next level. Mentoring Style: I bring a fresh pair of eyes to a business and a commitment to work with business owners to steer, guide and facilitate ‘the vision’ which will lead to business growth. With many years of hands on experience and a network of delivery partners, I can guide you in implementing the growth plan you decide on, making sure actions are on track and momentum is maintained. Heaton & Partners are an independent partnership providing property search and buying advice to clients who want to buy fabulous houses and apartments. We act for a diverse client base with whom we align our interest from the outset. Our sole aim is to find the perfect property whilst delivering an outstanding service in the process. Rebecca Jones launched Henley Decorators in 2011, after 15 years’ working on property renovation projects in and around London. With an arts degree and experience working in national, international and small business environments, Rebecca has an eye for the detail and believes passionately in providing the very best customer experience: efficient, intelligent, a minimal presence and top-notch work. The Henley Decorator ethos i.e. excellent painting and a conscientious crew, seems to have struck a chord with local residents. Our reputation has spread by word of mouth and as a result we have doubled in size in the past year, and became Ltd in March 2015. The crew are valued and are happy at work – and that makes our clients happy too. Henley Festival is a boutique cultural experience which takes place over five days, celebrating the best of international and UK music, art, food and comedy at a quintessentially British location. It’s a place to soak up the atmosphere and be entertained whilst experiencing a vibrant programme from pop to world music, classical to jazz, blues to cutting edge new musicians, where art and gastronomy share equal billing with music. 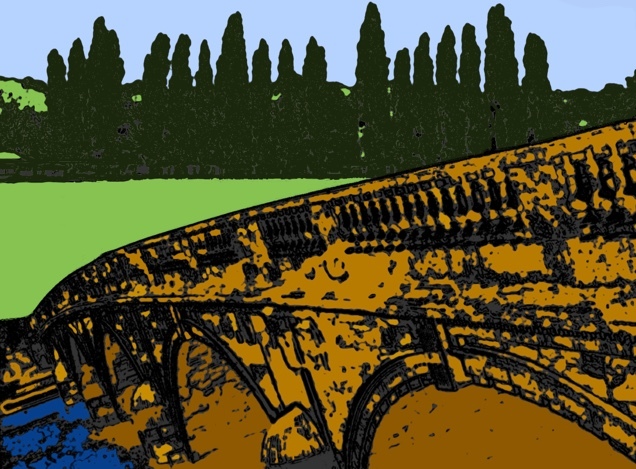 Community news website providing an up-to-date and unbiased news service reported by local people, as it happens, for the people of Henley-on-Thames. We are specialists in the charter business since the late 1980’s. No one knows the mid reaches of the Thames better than the HSC team who can provide the perfect boat for any occasion. Henley’s leading newspaper, published every Friday. Immortaleyes Photography and Video produces brilliant images and video for business use. In our dedicated, versatile studio space we photograph products and business portraits and produce promotional videos for presentations and web sites. We specialise in the needs of the business and understand how great pictures and video can drive new visitors to your web site and convert them to customers. We’ll give you as much advice and support as you need for your project so your images and video are a sound business investment. As well as plenty of professional grade Nikon equipment we have a drone and a remotely controlled action camera that can shoot underwater so we can capture events from all angles or show off venues in stunning ways. Whether you’re selling products or a service, compelling images are a recognised way to get people interested in what you do and that’s the first step to making them customers. Kathryn is a local Professional photographer. Capturing Lifestyle family portraits, weddings,Food, PR/events, Lifestyle Branding, and commercial work. The main thing people say about Kathryn is her effortless ability to put anyone at ease who she meets and photographs, which is a key skill when relaxing a client. Having worked in branding and marketing for 13 years, before retraining, Kathryn understands the importance of brand awareness and perception, so loves to know your brand or product inside out and will help you tell your business story with images for your website, brochures or social media. Kathryn has a professional and creative approach, and can mingle in with large groups of people capturing the important events in a natural, relaxed and candid way, allowing you to enjoy yourself while she captures some precious memories for you to look back on. Ladybird First Aid offers first aid classes in various locations in and around the Oxfordshire, Buckinghamshire and Berkshire boarders as well as in the comfort of your own home or workplace. A range of certified courses such as Emergency First Aid at Work and Paediatric First Aid are offered and these are First Aid Awards (FAA) accredited and registered with Ofqual. Other non-certified classes are available such as the popular two hour baby and child first aid class where babies are welcome too. lapd architects are passionate about realising clients’ construction projects; delivering innovative buildings, keeping track of the project budget and celebrating completion. Whether you’re planning to enhance your current living or work-space, or embark on an exciting new-home project, get in touch with lapd architects today for your free consultation. 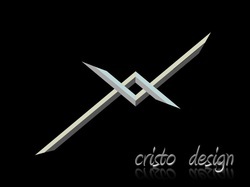 We’ll help you to add value to your designs through a creative, tailored process that focuses on your needs and vision. Contact us today to arrange your free consultation, and discover how lapd architects can help you to turn your vision into a rewarding reality. Laurence is an independent fashion store offering the latest men’s fashions from formal suits, jackets and business trousers, through to smart casual jackets, chinos, jeans, knitwear and outerwear. We also provide a made to measure shirt service and alteration/tailoring service. Liz Felix Millinery & Accessories opened in May 2014 selling mainly hats and fascinators but also umbrellas, jewellery, bags, new and preloved occasion wear. We are a leading Thames Valley firm of specialist lawyers providing a range of legal services to businesses, individuals and families consistently delivering high quality, value for money personal service for nearly 200 years. No two legal needs are the same so we work closely with you to offer a tailored solution. Miss Cufflinks is an online store specialising in beautiful cufflinks for ladies and men – cufflinks that will make your sleeves looks simply dazzling. Our range adds an additional style, elegance and glamour to any woman’s or man’s wardrobe. The goal is simple, provide selections of cufflinks and accessories that could not be found retail. In addition to cufflinks, you can also find ladies shirts, jewellery sets, men’s neckties (that can actually match your new set of links), ties, gifts for men and women. Whether you are looking for the ultra-conservative, attention-grabbing bling or unique and unusual designs, you will find the perfect cufflinks for every style, occasion and taste. With 20 years’ experience in the creative field, Niki is professionally qualified in interior design, has superb project management skills, and brings a fun, friendly and collaborative approach to her designs. 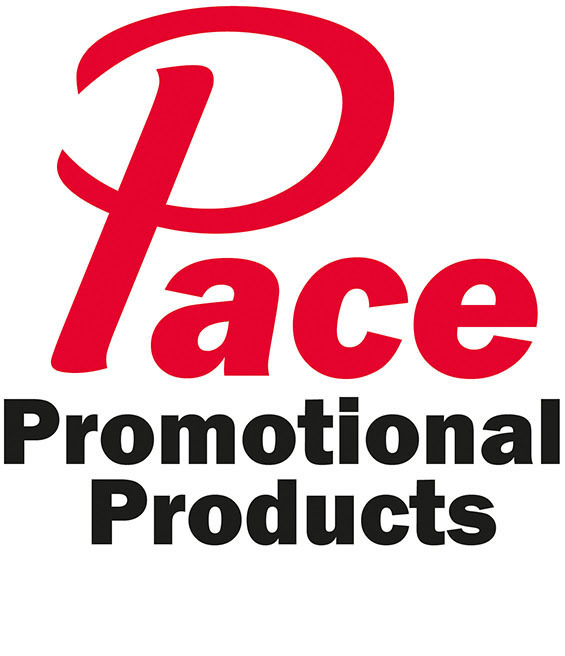 With over 30 years’ experience in supplying Promotional Products, Sourcing and Brand Management our friendly and experienced team will ensure that you have all the information you need to make the best decisions about your promotional merchandise, to achieve your Company’s commercial objectives and make your advertising budget go further. If you are not sure what you are looking for, simply email us with an enquiry, and let us come up with some ideas for you. Quite simply, with our fresh approach we are creating a new standard of Customer Service that is the designed to help you get your promotional products delivered to you on time, and at competitive prices. Over the years, I have observed a market-wide decline in personal service provided to both vendors and buyers by estate agents. The sale of property has become too mercenary; the drive for market share is too prevalent and personal service has been lost. My clients have told me that they have valued the personal attention and professional advice that I have given them, during such a complex and often stressful process. In my view, your estate agent should be a trusted adviser, in the same way you have a relationship with your Lawyer, Dentist, Doctor or Accountant. Your estate agent should help you obtain the best value for your property, facilitate the purchase of your next family home and mitigate the risk for you when undertaking a large investment. Why would you trust that to someone with whom you don’t have a relationship? With 15 years experience of working in many industry sectors, Linda Layhe Nugent of Pixel Vista provides compelling, affordable website and graphic design solutions. Her ethos is to leave clients in full control of their online business whilst providing support to do so successfully. Services include website design and installation, training, ongoing administration, Organic SEO, logo branding, eCommerce, product labelling and imagery, social networks setup plus much more. A go to business enabler for all things web and graphics with an enthusiastic and professional approach. The video production agency you’ve been looking for! Based in Henley on Thames with global clients, Swanwood Productions combines fantastic visual images with great story telling. We’re creative professionals with years of experience in broadcast and business, easy to work with and won’t let you down. From script to screen we take care of every step of the creative process. We’ll inspire your viewers with great writing, high end productions, eye catching animations and unique post production styles. We’re always interested in working on new projects, so let’s discuss how we can promote your business and bring your brand to life. We offer an exceptional service uniquely tailored for private gardens and commercial projects. Rachel brings her passion for design and planting by creating beautifully functional landscapes. She is a Chartered Member of the Landscape Institute with over 19 years experience working locally and throughout the UK. Web design and digital marketing experts, Ri Web pride themselves on providing a professional and friendly service; guaranteed to optimise the digital side of your business. Siobhan Brownlow of RSB Design specialises in design for print and digital publishing. Whatever your creative design needs – brand identity, business cards, promotional literature, magazines or web design – Siobhan can find the right solution to communicate a professional and consistent message to your clients. Friendly and approachable, why not give Siobhan a call for an informal chat to discuss your communication needs. Simon Mack Architecture is a RIBA chartered practice based in Henley on Thames, specialising in contemporary residential architecture, with a personalised bespoke service tailored to the project requirements. SO Business is the South Oxfordshire District Council’s one-stop shop for business information and support. 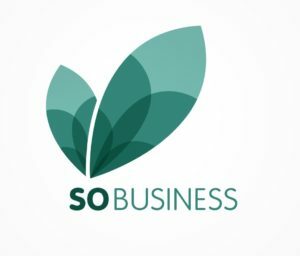 The SO Business team provides businesses across the district with support, advice and up to date business information. From helping with planning applications and sourcing grants to hosting workshops and making your views heard in Council, the SO Business team is here as a champion for local business so all can contribute to the district’s success. To put it bluntly, I am on a mission to eradicate the bland by helping my Clients to ‘Think Brand – not bland’ in order to help them to stand out from the crowd for all the right reasons. In my book, there is just far too much bland out there. Whatever business you are in, there is simply no point in being bland, in just jumping on the blandwagon and blanding in with the competition – no value at all in becoming lost and perhaps drowning in a sea of sameness and running the risk of becoming the bland that time forgot. My Clients benefit from my blend of 14 years hands-on brand marketing experience on the Client side combined with my 25 years plus on the branding consultancy side. Now trading as Strangebrew from my base in Berkshire rather than from London as I did previously, I still offer London quality but nowadays at what I call Glasgow prices*. If you are ready to throw away the bland manual and to ‘Think Brand – not bland’ in order to stand out from the crowd in your market, give me a call and let’s meet up over a brew of tea, coffee or, better still, a pint of real ale. * I was born and bred in Glasgow! The design agency for businesses that want a compelling identity online and offline. Our expertise is in brand development, identity, digital design, advertising and sales & promotional literature. We believe that good design can increase your sales while maintaining your profitability. We help clients create the brief, taking you through the process to identify your audience, understand their drivers and motivations and deliver a solution that will bring results. And why not take your marketing to a new level with a fully hosted, mobile ready, SEO friendly and easy-to-maintain website for £495. If you’re a start-up or small organisation and want a professionally designed website at a sensible price then this is for you. A team of solicitors with specialists in a variety of fields, meeting the needs of you or your business. We act effectively as in house legal teams for our corporate clients, and we provide an accessible, flexible, empathetic and personal approach to dealing with the personal affairs of our clients, as well as bringing experience and expertise. We are always happy to meet for a free initial consultation in the first instance to discuss further how we can help you, your family or your business. An Independent Personal Travel Agent for Leisure and Business Travel. With many years of travel industry experience, a love of travel and a desire to provide the best customer service experience, I believe being a self-employed, home-based travel agent with Travel Counsellors is my perfect career choice. Award winning technology allows me to quickly search and research hundreds of flights, hotels, transfers, cruises, car hire, attractions and much more, putting together tailor-made itineraries that totally fit with my customers’ requirements. Whether its accommodation or flight only, a tailor-made trip, a wedding abroad or honeymoon or a group booking (large or small), I will listen, do the research and come up with the perfect itineraries for my customers. In addition, once booked with me absolutely everything is 100% financially protected for complete peace of mind and at no extra cost to my customers. With the back-up of 250 people at Head Office and the knowledge of 1300 other Travel Counsellors worldwide, I have all the back up and support I need to tailor perfect trips and make dreams come true! With us it really is personal! We are a friendly local garden design company, offering flexible and practical options to help you transform your garden into something really special. Our aim is to help you in the way that suits you best – whether a full garden design and build; planting solutions, or hands-on training and advice, the choice is yours. Looking for a local service or product but don’t know where to begin? Then browse our directory. We have over 60 businesses waiting to help you! I joined in 2013 and it’s having a huge impact on my business. My visibility in the town has grown and I’ve built relationships with some key figures here. If you want your business to be successful I’d highly recommend Henley Business Partnership.